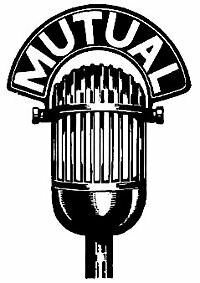 Beginning in 1942, the Mutual Broadcasting System introduced The Author Meets the Critic radio show. During the show two literary critics discuss and dissect a recently published book. One of the critics is an advocate of the book and the other critic takes the opposing view. At some point, the author comes out to discuss the book with the critics. To put it mildly, the discussions could be quite lively with the author giving as good as he or she was getting. The "discussions" were so contentious, one author compared the show to bear baiting. The show was moderated by John K. M. McCaffery. Some critics of the show didn't think that McCaffery as the moderator unbiased and sometimes chimed in for one side or the other. Some authors you might recognize include Al Capp, Arthur Miller, Eleanor Roosevelt, Herman Wouk and many, many more. The show ran for 12 years beginning on Mutual then moved to a radio statio owned by the New York Times. It moved again to NBC then to ABC, finally going back to Mutual where it ended. 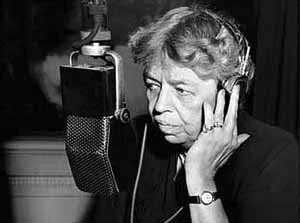 In addition to the radio show, there was also a television show which ran from 1948 to 1954. Just to let you know. I sure do enjoy getting the radio shows from you, and thanks for the ink pen! I have been collecting radio shows a long time. They are so good. I am human.